All the news of H2O! If you are a member, post some of your info about H2O! If it has nothing to do with H2O I will delete it. Mako Mermaids is awesome! Lyla,Nixie,and Serena are mermaids. They live at Mako Island with their pod. One night a boy ,Zac comes to Mako Island and falls in to the moon pool. He becomes a Merman with powers. Since he fell in, the pod leaves them and now they have to face many different things,like legs. mermaids have all kinds of powers!! so no one has to ask unkonesis means un mermaid it cant make u stop being a mermaid but ill make you not a mermaid for a serten amount of time!! H2O: Just add water (also known as H2O in Australia) is a AFI & Logie award-winning Australian television series. It first aired on Australia's Channel Ten in 2006, and later on Disney Channel, Nickelodeon and ZDF. The series currently runs on TV in over 100 countries all over the world and has an audience of more than 250 million. Emma Gilbert (Claire Holt) - Emma enjoys horse riding, swimming and working at The Juice Net Cafe, which becomes Rikki's in Season 3. Her mermaid powers allow her to freeze anything that contains water, and later to freeze without water. In Season 3, Emma is traveling the world with her family. Cleo Sertori (Phoebe Tonkin) - Cleo is quite shy and awkward, but a loyal friend. Her mermaid power allows her to mold water into a different shape, and later to control wind. Isabella "Bella" Hartley (Indiana Evans) - Bella is introduced in Season 3. She is a singer and a mermaid since the age of nine, and her power allows her to turn water into jelly and also turn water solid. 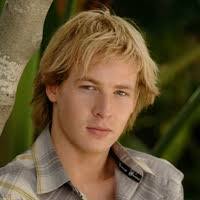 Lewis McCartney (Angus McLaren) - Lewis has known Cleo since they were 5. He is very clever, and has always helped the girls with their transformation. In Season 3, Lewis goes to America to study science. Zane Bennett (Burgess Abernethy) - Zane's the local bad boy. Spoiled, rich, but definitely good looking, he and the girls at first disliked each other. Later, he and Rikki became a couple. After he found out about Rikki being a mermaid, they broke up, but eventually got together. When Will comes to town, Zane gets jealous of him and that leads to him and Rikki breaking up again. Will Benjamin (Luke Mitchell) - Will is an attractive young male free-diver who falls in love with Bella. He also knows that the girls are mermaids and helps them throughout their last year of school. Charlotte Watsford (Brittany Byrnes) - Charlotte is the girls' major enemy in Season 2. Later, she became a mermaid as well, but eventually, at the end of the series, she lost her powers forever. Miss Chatham (Christine Amor) - Louise Chatham was one of the three original mermaids. She helped the girls during Series 1. Miriam Kent (Annabelle Stevenson) - Miriam thought of herself as Zane's girlfriend, but, apparently to him, she wasn't. She dislikes the girls, especially Rikki, and is one of the main antagonists in Series 1. Kim Sertori (Cleo Massey) - Kim is Cleo's annoying little sister. She has come really close to finding out about the girls' secret. Her favorite color is probably pink, since she wears it almost all the time. Elliot Gilbert (Trent Sullivan) - Elliot is Emma's younger brother. Trough the series, he has developed crushes on Kim and Rikki. He's got a strong bond with his sister, and appears in most of the episodes. Sophie Benjamin (Taryn Marler) - Sophie is Will's elder sister. Dr. Linda Denman (Lara Cox) - Dr. Linda Denman is a Marine Biologist who discovers entirely by her devices that the girls are mermaids and then tries to capture them in the moon pool. Q: Why does Charlotte have all powers and MORE? A: She was the only one in the moon pool when she became a mermaid. If you have any questions about H2O, please leave a comment and tell me. It is a very busy cafe, where everyone goes to hang out. Emma and Ash work at the Juice Net, where they make smoothies of every taste, size and color. It also make some food like burgers, french fries, and others. Lewis' Wish Potion goes out of control and takes over half the cafe. Cleo becomes a Siren and puts all the boys into a trance while she sings. Cleo, Emma and Rikki find out about the freak storm that hit Mako Island. Cleo finds Charlotte's secret diary. Emma finds Miriam frozen in an ice cube. Charlotte shows Lewis and the girls their powers. Charlotte discovers her grandmother was a pretty mermaid. Lewis and Nate have a fight and Charlotte uses her powers against Nate in public for sweet revenge. Miriam causes trouble over Rikki's Locket. And many more... It is unknown to why the JuiceNet Café closed down in Series 3, but it can be assumed that the business was failing. Cleo's House is just off the Marine. It's a big house, with a large garden and a jetty for mooring boats. They join the necklaces together to make a full moon and make the power go out. Emma's House is located just off the Marine. It is a large house, which is very modern. All the girls become moonstruck. This house was used for the final episode when Charlotte Watsford loses her powers and tail. Rikki's House doesn't appear very often in H2O. It first appears in the episode "Wrong Side of the Tracks"
Rikki lives on a trailer park with her father, after her mother left. Her father struggles with money. Charlotte's House, is where Charlotte Watsford lives with her mother Annette Watsford in a large house on the banks of the canal, it has a large garden, with a swimming pool and a terrace, where Charlotte talked to her mother about Gracie Watsford. Charlotte throwing Lewis McCartney a surprise birthday party. Charlotte showing her mother the old film that she stole from Cleo's House. Charlotte creating a frozen ball of water in the shape of Cleo's face and throwing it into her swimming pool. She intentionally gets moonstruck and lures the other mermaids to Mako Island, but unfortunately Charlotte herself loses the powers there, forever! Tell me what information you want next in the comments! Cariba Heine (born 1 October 1988) is a South African actress and dancer, best known for portraying the role of Rikki Chadwick in the Network Ten show H2O: Just Add Water starring alongside Phoebe Tonkin and Claire Holt and most recently for her portrayal of Caroline Byrne in A Model Daughter: The Killing of Caroline Byrne which was broad casted on Network Ten in Australia on the 4th of November 2009. Cariba has attended The UK Nickelodeon Choice Awards 2007, and The DOLLY Teen Choice Awards 2008. Cariba was born in South Africa but moved to Australia in 1991 at the age of 3 . Cariba's mother is the owner of the dance school Legs. Her early days included dancing at her mother's dance school in Canberra, where she later attended Telopea Park School and St Clare's College. Cariba was the youngest dancer to perform at the Stargazers Convention in Sydney, Australia. She performed in many stage productions, including a tour in the United States, where she featured in a Will Young music video: Leave Right Now. She is currently dating Jamie Timony, who plays alongside Cariba as Nate in H2O: Just Add Water. She portrayed Caroline Byrne in A Model Daughter: The Killing of Caroline Byrne which was broad casted on Network Ten in Australia on the 4th of November 2009. Phoebe Jane Elizabeth Tonkin (born 12 July 1989) is an Australian actress and model. She is best known for portraying Cleo Sertori in the television program H2O: Just Add Water. From the age of four, Tonkin participated in various dance classes including classical ballet and tap. She completed various courses at the Australian Theater for Young People (ATYP) at the Wharf Theater from the age of twelve. Courses at ATYP included Shakespeare, Script to Stage, Clowning Around, and Musical Theater. She attended Loreto Kirribilli and Queenwood School for Girls in Balmoral, renowned for its excellent drama department and had private drama classes. She became involved in all school productions including Antigone, White Crane and Venetian Twins. Each year Tonkin took part in the school's Shakespeare festival culminating in winning the state final in 2005 in a Midsummer Nights Dream. Tonkin's first television appearance was on the Australian teen show H2O: Just Add Water, where she plays one of the main characters, Cleo Sertori. While not a strong swimmer, she worked to improve her abilities during pre-production of the show. She is the youngest member of the principal cast on the show. On 20 October 2007, Tonkin appeared on the Nickelodeon UK Kids' Choice Awards, where she presented the award for best band alongside H2O co-stars Claire Holt and Cariba Heine. Tonkin's credits include appearances on the Australian series Packed to the Rafters and the film Tomorrow, When the War Began. She has appeared in various commercials, including ones for Vauxhall Motors and Chic Management. Tonkin also models, and has been in various photo shoots for catalogs and magazines such as Girlfriend. Claire Rhiannon Holt (born 7 July 1988) is an Australian actress, best known for her role on the television show H2O: Just Add Water portraying the role of Emma Gilbert. In 2006, Holt won the role of Emma Gilbert in the Network Ten children's television series H2O: Just Add Water. The show has earned a Logie Award and Nickelodeon Australia Kids' Choice Award. While the series was renewed for a third series, Holt left the show after signing on for the sequel to the 2007 film The Messengers, titled Messengers 2: The Scarecrow. Filming took place in Sofia throughout 2008. Starring alongside Norman Reedus and Heather Stephens, the film was released 21 July 2009 straight-to-DVD. In addition to television and film roles, Holt has appeared in advertisements for Dreamworld, Sizzlers and Queensland Lifesaving. Holt graduated from Stuartholme school in Toowong at the end of 2005. She is involved in several sports: swimming, volleyball, water polo player, and Tae-Kwon-Do, in which she has a black belt. When she was a younger, she was in the school choir. Indiana Rose Evans (born 27 July 1990) is an Australian actress best known for her role as Matilda Hunter in the soap opera Home and Away and as Bella Hartley in the children's show H2O: Just Add Water. In 2003, Evans had a guest role as Milly Roberts in an episode of All Saints. She then landed the principal role in an American campaign for Kool Aid. She also appeared in the Australian comedy sketch show Comedy Inc. The same year, she also had the role of Abbie Oakly on the television series, Snobs. In 2004, as her part in Snobs ended, Evans was asked to audition for the role of Matilda Hunter in the series Home and Away and won the part. She then appeared as a guest on Girl TV, a daily TV magazine show. In 2005, she was nominated for a Logie Award for Most Popular New Female Talent for playing the role of Matilda. On 20 April 2008, it was incorrectly reported that Evans was denied a contract renewal from the producers of Home and Away by Australian newspaper The Daily Telegraph. In the 3 May edition of magazine TV Week, Evans stated to journalist Carolyn Stewart that the producers offered her a contract extension, however she "was ready to move on", and that the incorrect report was "surprising". She made her last appearance on the soap in July 2008. Evans appeared as China Williams in the Australian drama series The Strip alongside former Home and Away co-Star Bobby Morley. In 2009, Evans appeared in the role of Bella Hartley for the third series of children's show H2O: Just Add Water, taking the place of departing actress Claire Holt. In addition to her role, she also sung the theme song for the show. Evans has an older sister, Alexis, and a younger brother, Max. Indiana is friends with former Home and Away co-stars Sharni Vinson and Jodi Gordon. She is also good friends with Snobs co-star Brooke Callaghan. Evans is nicknamed "Indi" by her family and friends. Evans' hobbies are singing, drawing, shopping, hanging out with friends and playing with her cat Meemo. Angus McLaren is an Australian actor. He is best known for playing Lewis McCartney on H2O: Just add water. Angus grew up on a dairy farm near Leongatha, Victoria. It has been said he is a keen sportsman, excelling at cricket, swimming and AFL football and is Currently dating H2O co-star Indiana Evans. McLaren got his first role as Jason Cassidy in the Australian TV series Something in the Air when he was only 12 years old. Some sources say he got this role with no prior experience and everything was due to an imressive audition. Others say he has appeared in a number of amateur productions for the Leongatha Lyric Theatre, as well as school productions before he made the leap to professional work. Several recurring roles followed. Then, in 2004, Angus was cast as Degenhardt Bell for the series Silversun which was his first main role. He then made a few more appearances and finally landed on the set of H2O: Just add water as Lewis McCartney. While still starring in H2O, Angus also takes part in Packed to the Rafters as Nathan. He looks up to his parents for inspiration. he doesn't mind working with the girls on H20. Angus goes to the barn of his parents' for quiet time. Angus is a drummer in the rock band Ballet Imperial. The band were semi-finalists in Future Rock in 2005,. 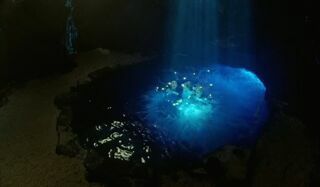 The first series revolves around Emma Gilbert, Cleo Sertori and Rikki Chadwick, who are given the power to become mermaids. They discover their amazing powers over water - Cleo can control the shape and volume of water, Emma can freeze it, and Rikki can boil it. Lewis McCartney, a friend of Cleo - and later of the three of them, helps them from being exposed. These series is mostly about Rikki, Emma and Cleo learning to use their powers and dealing with everyday problems, such as pesky siblings. Cleo meets an old lady, Louise Chatham, who was a mermaid in her past and who warns her, Emma and Rikki from the full moon. Zane Bennett is trapped at Louise's sinking boat and Emma has to save him. Zane sees a half of her tail and looks everywhere near Mako Island for the "sea monster". Zane sees Emma as a mermaid, but he didn't recognize her because she had red hair. Rikki and Zane become a couple. At the end of the season, Zane helps Dr. Denman capture the mermaids. Zane finds out who the mermaids really are and he rescues them with Lewis' help. During the lunar eclipse, the girls lose their powers, only for twelve hours, but it was enough for Dr. Denman to lose interest in them. 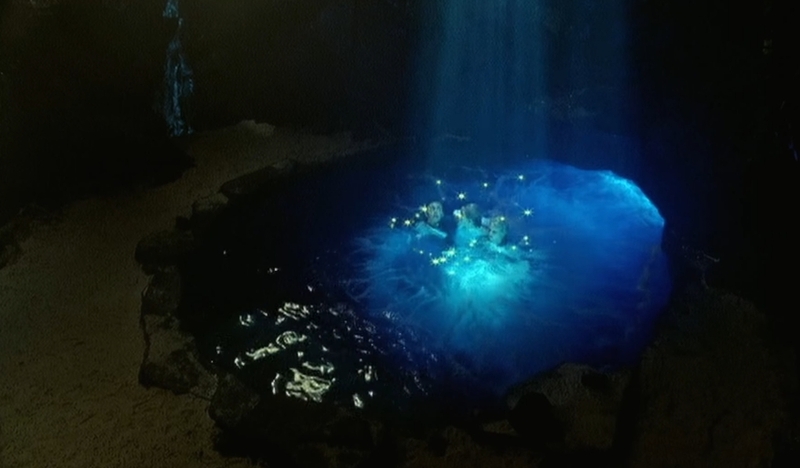 A full moon in conjunction with a rare planetary alignment calls the girls to the moon pool at Mako Island where their powers and abilities are greatly augmented and strengthened to higher power levels. The second season revolves around the arrival of a new girl, Charlotte Watsford, who moves into the area and develops an instant attraction to Lewis. After Charlotte sees a film of her grandmother Gracie Watsford as a mermaid she meets Max Hamilton who was once romantically involved with Gracie. Happy to have met his lover's granddaughter he tells her about the previous mermaids and of Mako Island. Charlotte travels to the moon pool during a full moon and becomes the fourth mermaid in possession of all the girls' powers and abilities. Believing herself superior as the one "true mermaid" she and the girls become sworn enemies. This conflict results in a confrontation, during an especially strong and powerful full moon, which ends with Charlotte being permanently stripped of her mermaid powers, abilities, and mermaid form.The girls also have romantic entanglements. Cleo breaks up with Lewis for being too clingy and protective after which he dates Charlotte. Rikki and Zane start dating again after breaking up during the series one finale. Emma meets Ash Dove and flirts with him but he is frustrated by the secrets she constantly holds back. She eventually relents and tells him that she is a mermaid. Torn because of the conflict between his friends and Charlotte Lewis comes to the conclusion that his loyalties lie with the girls and with Cleo in particular. He breaks up with Charlotte and begins dating Cleo again. It's nearly the end of the holidays and Cleo and Rikki are about to face their last year of high school without Emma, who has gone overseas. Together with Lewis, they're confident they know everything there is to know about Mako Island. But when water attacks the girls on a full moon, they realize a new, potentially dangerous force is developing on the mysterious island, and a boy with freakish free-diving skills who stumbles upon the Moon Pool could hold the key to understanding the powerful energy...Thankfully they find an ally in Bella Hartley, a new girl in town who reveals an equally surprising twist: she too is a mermaid with extraordinary super powers. Together, the new trio face phenomenal challenges as they discover the dark secrets of Mako Island and realize their destiny as mermaids. This TV movie summarized the events of the beginning of series one using clips from the episodes "Metamorphosis", "Pool Party", "Catch of the Day", "Party Girls", "Lovesick", "The Denman Affair" and "The Siren Effect". In the United States "Metamorphosis" and "Pool Party" premiered as a one hour movie. In the United States "Dr Danger" and "A Twist in the Tail" premiered as a one hour movie called "Exposed". In some countries, such as Romania and Bulgaria, the episodes "The Gracie Code, Part One", "The Gracie Code, Part Two" and "And Then There Were Four" are combined into a 70 minute television movie. This version aired only in central and eastern Europe on Jetix.